The Pearland Police Department is searching for Peter Jorgen Lanther, diagnosed with a cognitive impairment. He's an 86-year-old white male who is 5 feet 9 inches tall and weighs 145 pounds and has gray hair and blue eyes. He was wearing a gray flannel shirt and blue jeans. The senior citizen was last seen at 6:00pm on Tuesday at 703 Flower Field Court in Pearland. 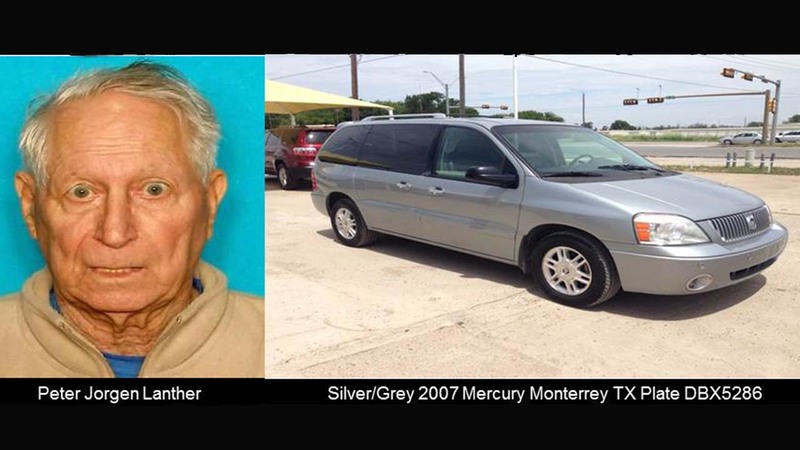 He was driving a silver gray 2007 Mercury Monterey with TX License Plate DBX5286. Law enforcement officials believe this senior citizen's disappearance poses a credible threat to his own health and safety. If you have any information regarding this missing senior citizen, contact the Pearland Police Department at 281-997-4100.